Descripción de 4x05&6 - Legends Catchup. This week the Legends of Podcasting catch up on some lost episodes from this past season. We see how things are and go in depth with all of it. 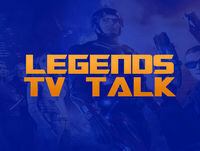 Subscribe to Legends Tv Talk on iTunes, Satchel, Google Play and where ever else podcasts are streamed.